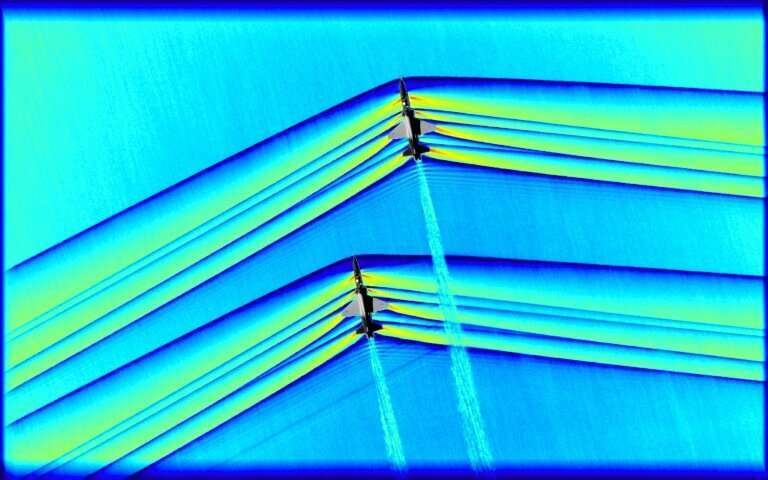 NASA has captured unprecedented photos of the interaction of shockwaves from two supersonic aircraft, part of its research into developing planes that can fly faster than sound without thunderous “sonic booms”. 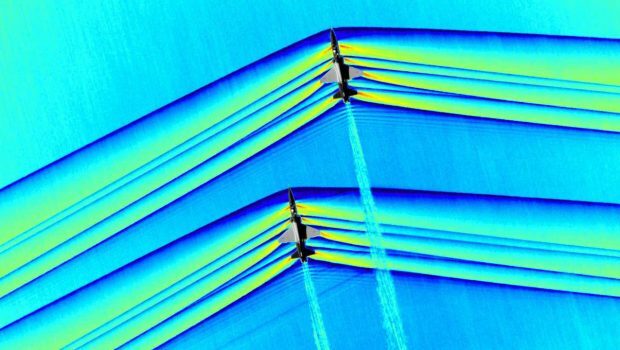 When an aircraft crosses that threshold—around 1,225 kilometers (760 miles) per hour at sea level—it produces waves from the pressure it puts on the air around it, which merge to cause the ear-splitting sound. 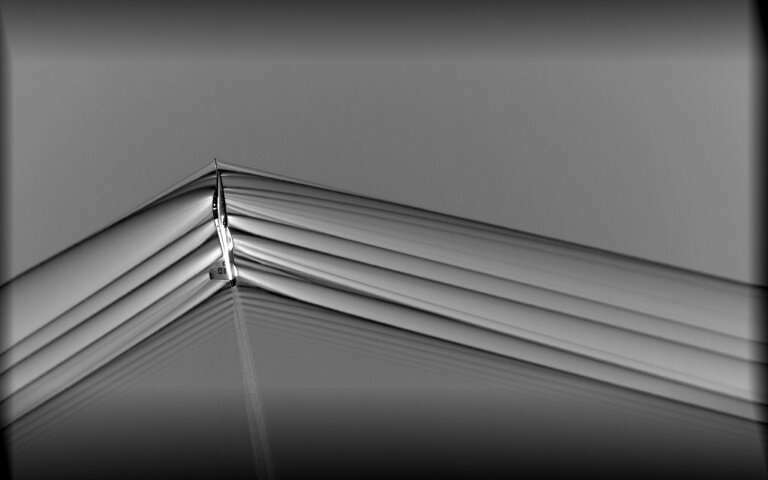 The rendezvous—at an altitude of around 30,000 feet—yielded mesmerizing images of the shockwaves emanating from both planes. 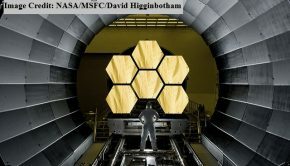 With one jet flying just behind the other, “the shocks are going to be shaped differently”, said Neal Smith of AerospaceComputing Inc, an engineering firm that works with NASA, in a post on the agency’s website. 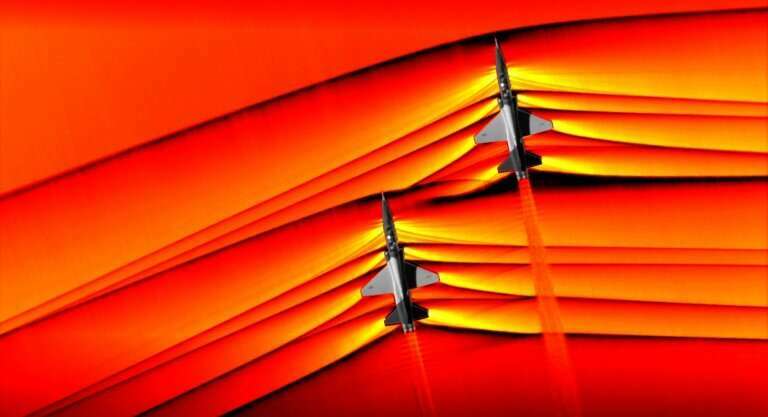 Sonic booms can be a major nuisance, capable of not just startling people on the ground but also causing damage—like shattered windows—and this has led to strong restrictions on supersonic flight over land in jurisdictions like the United States.